After Avrohom and Sarah gave birth to Yitzchok they decide to pick up and move. Chapter 20. “Avrohom journeyed forth from there to the south country and settled between Kadesh and Shur, and he sojourned in Gerar”. Moving to a more isolated location in the desert makes sense, so that Yitzchok can be brought up away from the negative influence, but why did they then spend time in Gerar, the capital of the Philistines? Protecting our children from the negative influences of the outside world is the challenge we all face, and so in a previous article in the FJJ, Rabbi Nechemiah Gottlieb: Director of Ichud stated as fact that our Jewish Mesora is to therefore shelter our children as much as possible. But is this really the case? Rabbi Samson Raphael Hirsch lived in the 1800’s and is considered to be one of the pioneers of the Yeshiva/Beis Yaakov school system and the Agudas Yisrael movement. He was a Rosh Yeshiva and Rav of a large community and wrote countless articles on Chinuch Habonim. He is credited as being the one who saved religious Jewry from the Reform movement of the day, a philosophy which was as anti-religious as anything we have today. And though they had no Internet and cellphones they managed to attract many more Jews to leave the faith. And while some would like to change history by saying “it’s only in recent times that we face such extreme pressure from the outside”, that's distorting the facts to fit an agenda. (See, Artscroll publication, Architect of Torah Judaism of the Modern World by Eliyahu Meir Klugman). Page 413: Rav Hirsch begins by telling us the hypothetical story of someone he says we all know and who he refers to as Mr. Y. “He was a wonderful man who was imbued with true Jewish spirit and he was a shining example of piety. His home was filled with torah and mitzvos, an oasis in a world that was filled with moral and spiritual corruption. Anything that bore even the faintest tinge of un-jewish belief was kept far away. This man was one of the most outstanding and devoted champions of tradition in Jewish communal life, he fought against all forbidden innovations. He viewed so-called modern education as the worst threat to Jewish survival. Moreover, in order to protect his children from the poison of modern education he not only anxiously isolated them them from every contact with the modern world but filled them with arrogant contempt for all other knowledge and scholarship that he deemed as nothing compared to the study of torah. So what happened to this man? It is said that this man died of a broken heart, grief stricken because not even one of his children remained Jewish, not in feeling or practice. All of them, as teens and later in manhood, had been spiritually ruined by the very things he had so zealously sought to protect them. But anyone who would have evaluated this fathers approach could have predicted these sad results from the outset. The very best way to have our children catch a cold on the very first time they go outdoors, is to shelter them from fresh air. If we want our children to develop a resistance to every kind of weather we must expose them to wind and rain at an early age in order to harden their bodies. This rule holds good not only for a child's physical health but equally for his spiritual and moral well-being. It is not enough to teach our children to love and perform their duties as Jews within the home and family, among like minded companions. It is wrong to keep them ignorant between the present-day differences between the world outside and the Jewish way of life, or to teach them to regard the non-Jewish elements in the Jewish world as polluting, infectious agents to avoid at all costs. None of the above words are mine, they were taken verbatim from Rav Hirsch. There is no question Rav Hirsch was speaking to a generation that was living amongst an immoral and anti-religious environment. My letter is written to the Flatbush community, a diverse group of Orthodox Jews that also live in similar realities. Many of us work or at least spend time in places that don’t share our Jewish conduct and principles. In a recent book entitled “Off the Derech” Faranak Margolese interviews many teens as to why they went off the Derech. And while we would like to believe it was all because of the Internet and cellphones, the truth is more disturbing. The three main reasons she found was, a lack of positive feelings, unanswered questions about Jewish beliefs and the ability for our children to develop their unique emotional and religious potential. Technology did not even make it on the list. The fact that we blame technology is because it takes the blame off us! And so I ask you now, is it really our Mesorah to shelter our children or is it just something we do because we are so afraid of the influence of the outside world? Are we scared of the questions our children might ask and therefore want to avoid it all? Are we worried that maybe some of our children are unhappy being Jewish and sheltering them is easier then dealing with the problem? I think we sometimes underestimate the intelligence of our youth and think they are incapable of seeing the truth and instead we hope our children will never grow up and we will never have to deal with these issues. And so, when someone raises a sensitive and difficult subject and questions our current methods you call them an apikores! I am not a Rabbi and definitely don't think of myself as qualified to make decisions for others, but I believe we should use the wisdom Hashem gave us and with the proper guidance from our Rabonim we can make the proper decisions for ourselves and our families. There will be those who will tell you that locking ourselves in our little world is the only way to survive. The Bais Halevi talks about this regarding Teivas Noach and says that nowadays the Teiva we lock ourselves into is the Beis Hamedrash. Rav SR Hirsch on the other hand wrote in many places that the ghetto experience was never a L'Chatchila. It is not a Mesorah. Good luck with your battle. If I felt I could, I would join you by name. Perhaps one day I will. You are braver than I am. 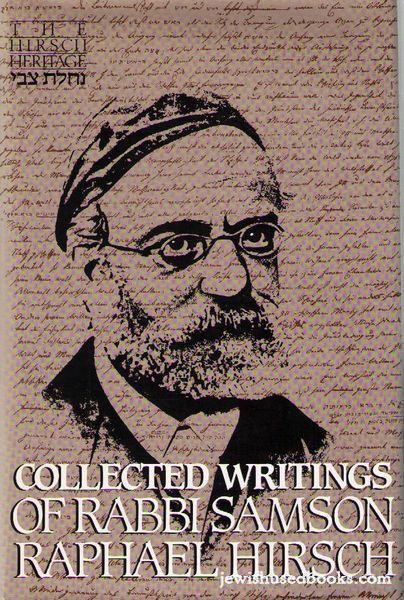 R. Saadya Gaon wrote that a significant cause of OTD behavior was the transmission of poor quality hashkofa in chinuch. This view was penned more than one thousand years ago. See RSRH's peirush to Bereishis on "Vayagar B'Grar" at the beginning of Perek 20, explaining why Avraham Avinu set up a home in Grar. He says exactly this point. Now that Avram heard that he will have a child, in order to properly be mechanech this child, he will need to be exposed to the outside world, and to know which parts to reject. So began the process by having a home where this child will get the exposure. There too RSRH writes the analogy of someone who remained indoors his whole life, will catch a cold as soon as he goes outside. What you're forgetting is that Sara did not want Yitzchok exposed to Yishmoel, rather she wanted that yishmoel should leave the house. And hashem informed avrohom that sara was correct!! Are you asking me or Rav Hirsch? Can you explain rashi that says Yaakov should have let Dina marry Eisav. I think she might be exposed a little, no? And how about Hashem? What was He thinking to arrange Yaakov Avinu's life in such a way that he would have to be away from home for so long and live with Lavan? Or Yosef to be away from his family to be in Mitzrayim and be surrounded by such Tumah? What was Hashem thinking??? Or Klal Yisroel to be thrust into Golus? How could any of this be of benefit? If Hashem would have followed the ruach of the takonos against pas akum, chalav stam and shemen nochri, He would have known better than to do all this!!!! It's a good thing we have Kanoim who know better! Or why even create a world and put Man into it? After all, didn't chazal say that after long deliberation Beish Hillel and Beis Shamai concluded that it was better to not have done that? The answer to all of the above is what RSRH addresses on every page of his writings. Torah Im Derech Eretz. Meaning: the Torah's purpose is to infuse every situation that life offers, with the exception of the most debase parts of civilization, with Hashem's light. And it is our job to understand our world and then choose wisely (and not to be spied on by some people who seem to have already decided the very limited scope of what we may partake of or learn about the world). Occasionally there is a need to not partake of elements of the world. Occasionally. In our times we have seen that shutting out the world is the norm. This is upside down. If we continue with this approach, more frum Yidden will not take our Torah and its leadership seriously. This approach, to say ein haci nami, it's a terrible world out there, and we must build higher and higher walls is stifling and unnecessary. It will work for some and force others to live unhappily, and many others will walk away and resent you for taking away from them a world that you didn't have to. A world that Hashem put them in. A world that the Torah speaks to! For those interested in reading an elegantly-written essay on this topic of insularity vs exposure, be sure to check out "Of Parents and Penguins" by R' Moshe Eisemann. And, if you have any old Jewish Observers, see the February, 1995 Special issue: The world around us: The risk of exposure, the cost of insularity. Sarah didn't want Yishmael IN the house. Exposure is fine but your house must be pure. But one need only look at the conflicts that today's youth live with to know we are doing a poor job at educating them. Lets keeping living in our insular ghetto, and slowly we'll watch the decline of torah observant yidden. People like D. Teitelbaum conveniently forget that the overwhelming majority of Gedolim in other countries took a vastly different approach. For instance, Rav Chaim Voloziner zt"l shut down his renowned Yeshiva once he was forced to teach secular studies. In the chassidishe world in Europe, secular education was completely off limits. With all due respect to RSRH zt"l's brilliance and greatness, there were far fewer chassidim OTD by World War Two than there were OTD Yekkes. Check your history. Very well said. An opinion I have Ben espousing for years. Your father a"h was my Rebbe at a very young age. This was his way of thinking. I have been reading a number of your articles of late. You are making your father and all of us very proud. Keep up the good work. Let the "Hamon Am" recognize the importance of your words. You are the voice of reason for all of us. And through it all you wWill make a difference. I'm sure your latter claim as written is also false; so I assume you mean that a smaller percentage of Chassidim went off the derekh before WWII than Yekkes. First, RSRH had a very small influence on Germany. Even within Frankfurt-am-Main, far more Orthodox Jews belonged to the general Gemeinder than to his Austritt kehillah. But even so, I do not know if it's all that true that chassidus was more successful. There is pretty consistent anecdotal statements by Litvaks to indicate that Chassidus did better than the Litvish did, but I do not recall similar claims about Yekkes. Correction of a historic detail: RSRH was not a Rosh Yeshiva as claimed above. He founded a Jewish school, but it was only his successor and son-in-law, R. Dr Solomon "Shlomo Zalman" Breuer (a talmid of the Ksav Sofer), who founded a Yeshiva in Frankfurt. What is the technical difference between a Rosh Yeshiva and a founder of a Jewish school? R. Hirsch's Realschule was vocational, training people to go into the professions, also teaching kodesh, which was only 25% of the curriculum (to conform to government standards). The style of teaching there was not what we might identify as "yeshivish". Here in an excellent essay by Rabbi Dr. Aaron Hersh Fried named "Are Our Children Too Worldly?" This should be a post of it's own! With all due respect to R. Teitelbaum: A parent still has to be vigilant about what his/her children read. In my own experience, I have had a bitter experience with a website that treated "unanswered questions about Jewish beliefs"--by providing "answers" that are pure demagoguery AGAINST Judaism! I'm not even sure what setting on an internet filter could block out such a site--how is the filter supposed to judge what is heretical and what is not? I'm not sure where we disagree. Any way of getting a copy of that Jewish Observer? Thanks for the tip. I added it to opening. I have been following your blog and once again you have put into words so well what I have been thinking. To Expose our children and Protect them at the same time requires a delicate balance and a lot of hard work. I work for a non-profit counseling agency in Yerushalayim called Kav L'Noar. Our mission is to help families dealing with a wide range of issues with their adolescents and teens. The theme of our community education program is Awareness- Education- Prevention. Parents need to be aware of the real world that our children are living in,and educate themselves on the best way to deal with the difficulties and challenges our children face in order to prevent our at-risk children from becoming in-risk children. Neither complete shelter or total exposure works. Each family must find the right balance that works for each individual child. Many parents feel that by sheltering their children they are protecting them. But parents can not totally shelter their children and so when they are exposed both the children and the parents have no idea how to deal with it. the derech that works best for them ? When my daughter was in *** high school they had the head of the school as a teacher , rabbi ? , a girl asked him a hashkafa question in class . Do you know what he answered ? He said ," you don't need to know the answer to that ,all you need to know is that you need to get married and move to lakewood ." I am serious , that actually happened!!! And I can tell you that ,that statement alone caused many girls who heard that to totally rebel against religious authority. these stories don't shock me anymore. My point is that the problem is more than a generation old. We never gave the mechanchim the tools to deal with this question, so of course many will panic and run.